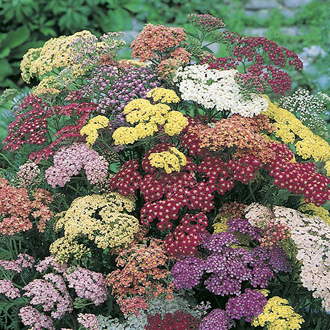 One of the most versatile perennials and one which provides so much colour for months on end. The greyish green, feathery foliage is topped by striking flat and circular flower heads which are adored by bees and butterflies. Plant in a bright and sunny spot in well-drained soil.